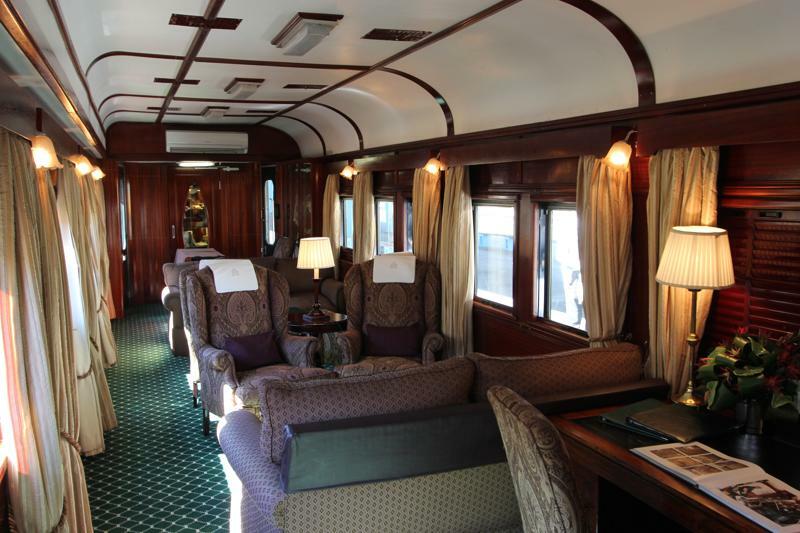 Rovos Rail already has a reputation as the leading luxury train on the African continent. But to discover more of what makes the Rovos experience so extraordinary, it is essential to get on the inside (literally and figuratively). People with the keenest insight into a company like Rovos, are of course those involved with the train’s daily operations. An early Monday morning saw us in Rovos’ lounge car with Eric Annandale, allowing a glimpse into the life of a Rovos Rail Train Manager. Eric began his career in hospitality as a porter at the Crown Moran in London, worked his way up to assistant night auditor and went on to study hospitality at the Capital Hotel School in South Africa during which Rovos headhunted him. He started on the luxury train as a barman and worked in the dining car, before being promoted to train manager. He has been with Rovos now for eight years and says that when he’s not on the train, he misses it. This passion for everything Rovos is what encapsulates the train experience as a whole, and characterizes our impression of the company and atmosphere onboard. A Majestic Once-In-A-Lifetime Holiday. Pricing and availability can vary, so contact us, and we will get you on board. One of the most noticeable things, when one steps into a Rovos carriage for the first time, is the attention to detail. 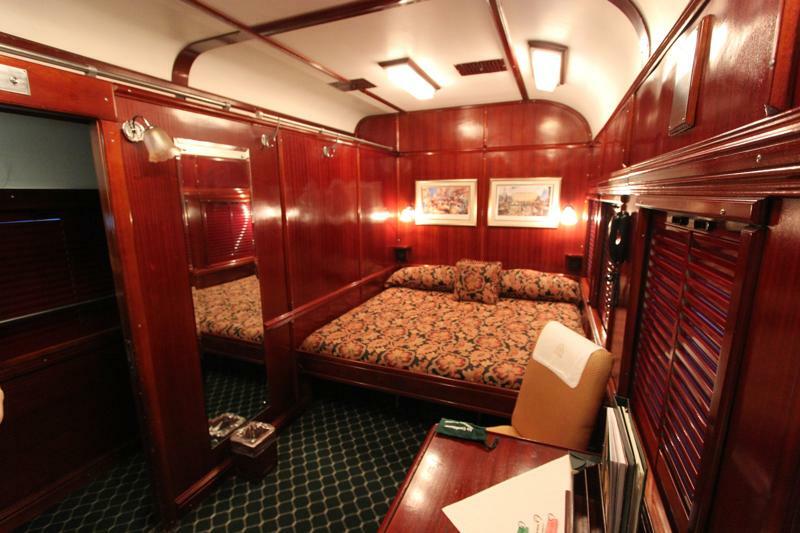 The deep wood paneling, richly colored carpets, sconces and detail down to the last dessert fork takes the passenger back in time. Its beautifully restored carriages give Rovos its nostalgic nods to both Victorian and Edwardian train travel. Each suite features this detailed reconstruction, none more so than the Royal Suite with its Victorian claw bathtub; there is nothing comparable to the idea of lounging in one’s bath while looking out of the window onto the passing plains, mountains and game reserves of Southern and East Africa. Eric’s enthusiasm for his job is immediately tangible, and we began talking about his daily duties and responsibilities and why he loves working for Rovos and the Vos family. “For me …you’re excited. Yes, I’m doing a Cape Town again today. Or I’m going to Dar es Salaam, and this is my crew”. The train managers themselves take on the role of hosts rather than simply managerial positions. Each host has 6 or 7 rooms of which they’re in charge, and they look after those particular guests through the duration of the journey. This allows guests to receive plenty of attention, another personal touch that sets Rovos apart. Eric’s daily duties are also a testament to the smooth running of Rovos, and encompass everything from ensuring the train is moving to interactions with guests and managing admin. With his day starting at 5 am to ensure Transnet have sent drivers, Eric’s hours are distinct and more demanding than that of the average hotel concierge. He also arranges excursions and transfers for guests and makes sure they are happy and healthy throughout each journey. The Staff does enjoy some downtime as well, generally during the excursions in which guests disembark to enjoy tours (the stop in Kimberley includes a tour of the famous diamond mine), and this is when, as Eric points out, staff get to enjoy each other’s company and relax a little. One of the major components of the Rovos experience is, of course, the early 20th-century atmosphere. 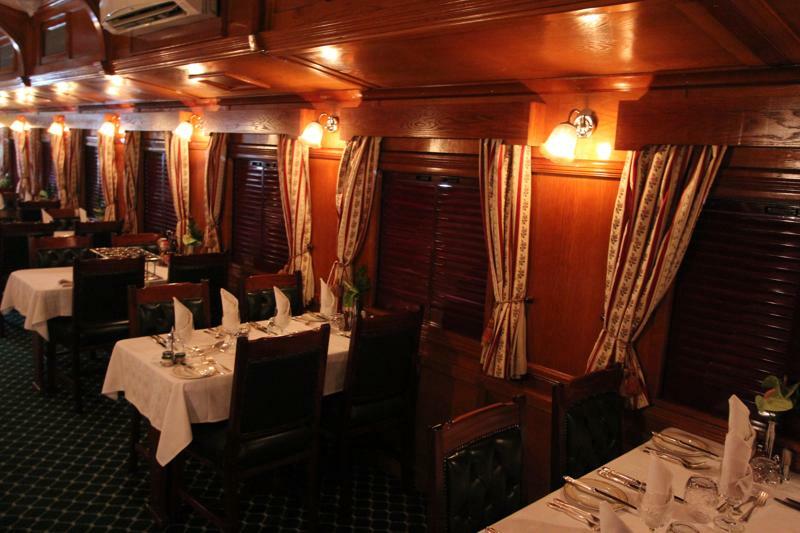 While the dress is casual during the day, guests are required to wear black tie to the dining cars each evening. “They are going to an event,” says Eric – each dinner is an experience in itself, and a large part of the atmosphere onboard. On longer journeys, themed evenings are frequently put on for guests, including Valentine’s Day dinners and traditional African themes. A masqued ball takes place on the final nights of long journeys, with balloons, cocktails, and masks for each guest. The enthusiastic participation from guests in these events is a testament to the relationship built between staff and guests, something that fosters enjoyment and involvement. Eric also points out that these evenings work because guests enjoy participation – thus the type of client attracted to Rovos is one who is open to doing anything, and join in the fun. While no one is forced to participate in anything they don’t want to, it is usually the case that guests (as they get to know one another onboard) become friendly, and the atmosphere lends itself to enthusiastic involvement. Attention to detail is an integral part of Rovos – the company’s founder and owner, Rohan Vos, even involves himself with hands-on maintenance work inside the carriages. “That’s what makes this company so special,” smiles Eric. The exact science that creates the time-warped illusion on board requires plenty of attention, and this is clear in the train body and its running. Vos still makes an effort to meet every single guest on each journey, meeting them at the departure lounge and seeing them off. He’ll frequently join for 3 or 4 days on a Dar es Salaam or African College trip, or a golf safari. He has the right combination of hands-on involvement and delegation to people he trusts to keep Rovos up to its exacting standard. “And if you have people in charge, who love what they do every day, this company will not go down. In the eight years that I’ve been here, the standard has not dropped,” says Eric confidently. With 24 days out of each month onboard, Eric and the other train managers can securely keep Mr. Vos aware of the train’s day-to-day operations, including a heads up for every station passed. This kind of close attention comes through clearly in Rovos’ philosophy. On any train system, there are challenges, and Eric states that his worst nightmare is for a locomotive to break down in the middle of the Karoo with no signal, leaving the train in the middle of nowhere. Other problems that can arise, though rare, is cable theft or other train breakdowns from Zimbabwe to Tanzania, which can often take days to clear and leave Eric and his staff with the task of finding alternative activities and arrangements for guests. Eric’s favorite parts of travel include his downtime with other staff members, including his wife Tanya, a standard controller he met on Rovos. “That’s the type of experience you’ll never forget,” he says, highlighting again the importance of the role of Rovos’ people who make the experience so exceptional. 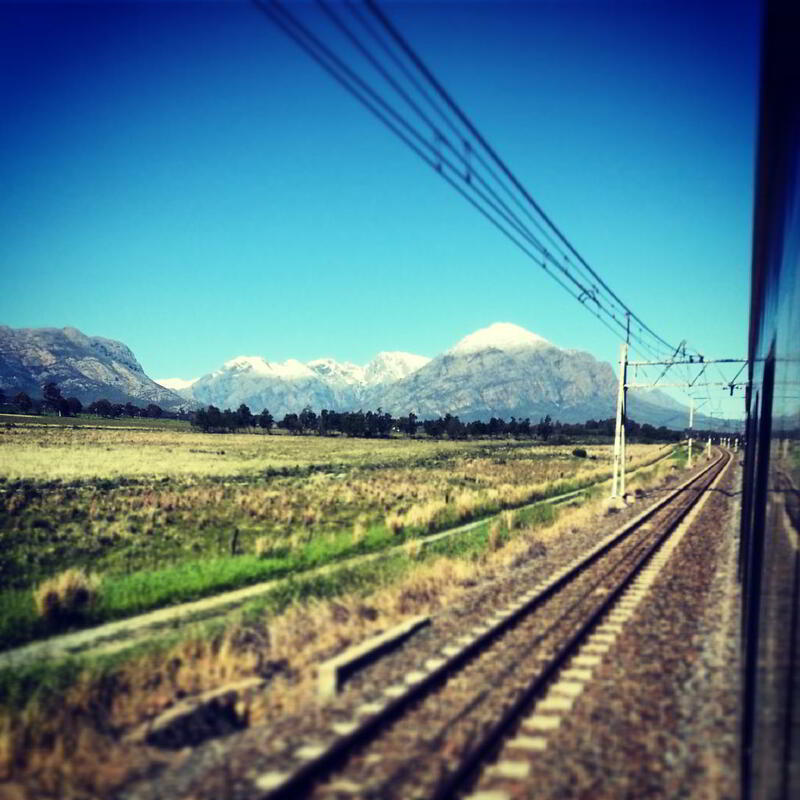 Of course, the Southern African setting is another part of the experience that sets train travel on this continent apart from anywhere else. Regarding his experience on trains in Europe, Eric states that nothing quite reminds him of South Africa. This experience brings guests back multiple times. The most number of times a guest has traveled on Rovos is 53 journeys. A Mr. Buchanan (who had a room named after him, such was his frequency of travel), who lived in Pretoria, moved down to Cape Town, and rather than hiring movers, simply took Rovos, gradually moving all his belongings down to Cape Town over many trips. Mr. Buchanan has since passed away but stands out as one of Rovos’ most memorable guests. While Eric can’t talk about specific guests (naturally), he does allow that whole books could be written about the guests alone, and some have traveled with Rovos up to 40 times. This brings us to the question of the type of client ideal for taking a Rovos trip. Eric says that a guest who wants to experience Africa differently, who is adventurous and appreciates the old world atmosphere that Rovos emits, is the perfect fit for the train. Appreciation of the unique sights experienced on board is vital. “When you drop a shutter, that’s National Geographic happening,” says Eric; “When you fly into Vic Falls, you don’t see the landscapes you’re traveling through. When we travel through Zim, we travel through a game reserve for half a day. You see animals outside the train. Traveling out of Dar Es Salaam, you go through the Selous; we’ve had lion right next to the train.” These are experiences not repeatable, and a key highlight on any Rovos journey. There may be no televisions allowed on board, but Rovos’ windows are its televisions, with a range of landscapes and locations seen in a way that would be impossible by any other means of travel. 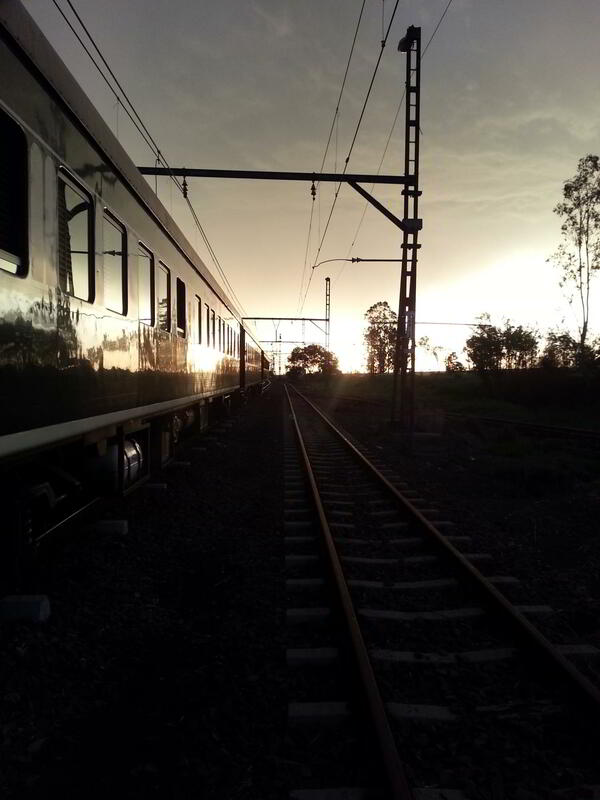 As with any train travel, there are definite “dos and don’ts” onboard Rovos. Eric emphasizes three important things to avoid. “Do not throw anything from the train. Cans, bottles, sweets, clothing, cigarettes; when you have children next to the track, never throw them anything.” Rather, Eric encourages guests to wait until the train has stopped at a designated station so that any charitable items can be given by staff in a more organized way. The second “don’t” is opening doors while the train is in motion – common sense, perhaps, but it has been known to happen. Finally, guests are asked not to walk barefoot on the train; couplers are traps waiting for unwary feet to be stuck. But Dos and Don’t aside, this is a train experience that is incomparable to any other. Rovos attaches to a sense of nostalgia and has the unique facet of seeing “everything.” Travel on the ground allows one to see everything from villages, capitals, desert plains, thick forests, and even wildlife. “You experience Africa, from the poorest to richest,” says Eric. A Majestic Once-In-A-Lifetime Holiday. Pricing and availability can vary, so contact us and we will get you on board.